Is There Disaster In Your In-Box? But recently, the subject matter has gotten rather nasty. Crude or frightening headlines about international disasters or animal cruelty. I wonder if this is some kind of strange new twist in our culture–are spammers getting media-savvy? Do they now go for shock value and emotional manipulation rather than just over-the-top vulgarity or butchered-English come-ons? I started noticing the new trend a couple weeks ago. And hard on the heels of it was the story of Edward Davidson, the convicted spammer who killed himself and his young family. Tragic madness. One can’t help but think that all those years of cheating people must have eaten at his soul. I long for the days when Benjy Jacky and Jermaine Thompson were helping me to reduce my credit card debt and, uh, increase the size of my pole. I’d just as soon never again hear from the likes of Sharifi who wants to sell me a trip to Vegas by tempting me with tales of A Boy Who Eats Cats Daily. The world is a truly dismal place when even the spammers lose their sense of humor–and their minds. Remember the days when you did not need a computer. We actually took the time to write a letter or make a phone call. It is pretty bad around here,we can’t do anything,for example like walk out of my office turn right and walk into the next,I have to send them a Email to make my point even though they are only 10 feet away. Now if we could get the computer to, work us out,loose weight,drive us to work,stop at the store,Etc. 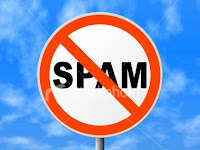 Just imagine how much more we could get done,if we kept the computer busy all the time, would it still recieve all the spam mail. Nasty and crude just seems the way the world is turning. Oh my God you can’t say that,I take offense to that comment,you had better apoligize or I will sue. You have got to love the media the local radio stations around here love to use the words “GD” and “SOB”. I guess it is the cool thing to do these days. Do not try to instill in your childern your beliefs or values,we will tell them how to be good citizens from our politically correct text book. Maybe some of the Sci Fi movies will come true,you know the computers takes over the world and and man kind is pushed into extinction. It must be my day to rant. This twist is truly creepy. I agree that the old viagra ads would be a welcome relief from the new trend. So totally icky and sad. What are you talking about? You TOTALLY increased MY manhood!